Monique Michaels professional work is an exploration and combination of organic, botanical, textile art and light boxes and fine art, reportage, lifestyle, advertising and fashion photography. An award winning photographer and regular contributor to The New Yorker, Manhattan, Angeleno, C, Los Angeles, and Pasadena Magazines. Her photography is inspired by Henri Cartier-Bresson, Peter Lindbergh, Melvin Sokolski, and Anita Bresser. Her textile and light works are influenced by Olafur Eliasson, Dan Flavin, Mary Corse and Richard Tuttle. While her personal photographic work favors medium format film photography, her digital work features portraiture, lifestyle and journalistic style street photography. Her fine art photography is often printed by hand using gum bichromate, a 19th century multi-layered printing process, rendering painterly images from photographic negatives. Monique’s fine art imagery has been exhibited in both solo and group shows at the MOCA / Museum of Contemporary Art, Los Angeles, Center for Fine Art Photography, Fort Collins, CO, South East Center for Photography, Greenville, SC, Anderson Chase Gallery, Katonah, NY, Greenwich Arts Society, Old Greenwich Art Society and Greenwich Art Council, Greenwich, CT, Rowayton Arts Center, Rowayton, CT, Lumen Winter Gallery, New Rochelle, NY and the Blue Door Art Gallery, Yonkers, NY. Monique is a member of the American Society of Media Photographers, American Photographic Artists, Advertising Photographers of America, Press Photographers Association of Greater Los Angeles, Center for Fine Art Photography, Croton Council on the Arts, Rowayton Arts Center, Stamford Artists Association, Greenwich Arts Council and the Greenwich Art Society. 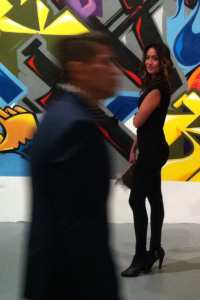 In addition, she served of the Board of Directors of the MOCA Contemporaries in Los Angeles from 2011-2013. Monique was born and raised in Chicago, lived and worked as an artist in Venice, CA for over a decade and currently lives in New York, NY.